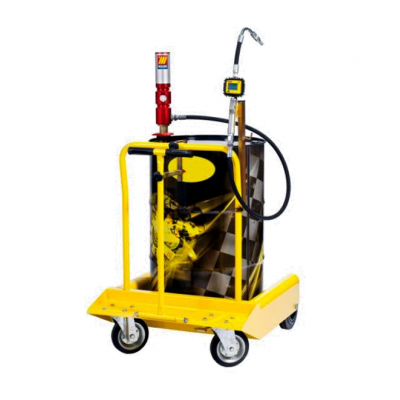 MECLUBE is an industrial company that manufactures lubrication equipment for every specific requirement, giving best collaboration to the customers and working to grow with them. MECLUBE is a young and dynamic company, but it has already all the knowhow and the experience of qualified personnel, and its main targets are the service to the customer (especially the after-sale assistance) and the quality: it is already operating with the necessary quality standards to achieve the ISO 9001:2008 certification. MECLUBE is a constantly developing company: new products are in project to improve and facilitate the work in the lubricant distribution. The new air-operated grease pumps patented, fully designed and manufactured by MECLUBE, show remarkable operating features. It is fully machined with electronic machine tools, the assembly is made with great care and the parts have been carefully tested in order to assure the best guarantee of relia.. 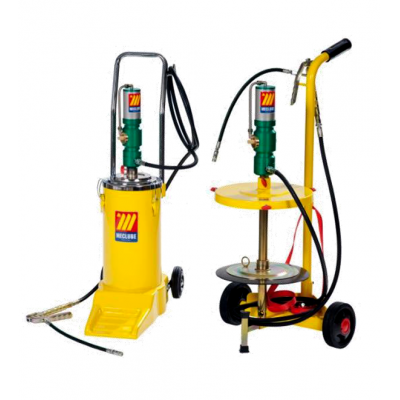 The air-operated oil pumps, fully designed and manufactured by MECLUBE, show remarkable operating features. It is fully machined with electronic machine tools, the assembly is made with great care and the parts are carefully tested in order to assure the best guarantee of reliability and a long life.. 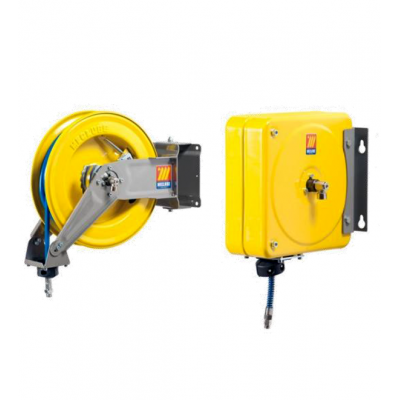 These automatic hose reels with springs, fixed or swiveling, powder coated, stainless steel AISI 304 and hydraulics powered, pneumatics, electrical are suitable for flexible hoses for the delivery of compressed air, water, oil and similar, grease, diesel fuel, antifreeze liquid, windscreen liquid an..